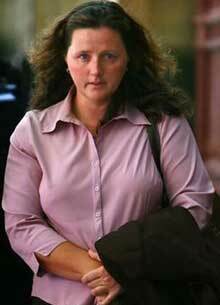 On 30 September 2004, primary school teacher, Claire Margaret MacDonald, aged 39 at the time, put on a camouflage outfit and rubber gloves, grabbed her husband's high powered rifle and hid in the bushes near where the family's Land Rover was parked in a paddock on the couple's property in Acheron in Victoria, and waited for her husband to arrive. During the trial in the Victorian Supreme Court, MacDonald's defence counsel, James Montgomery, told the jury how Mr MacDonald had "totally dominated" his family, and in particular his wife, through "physical, verbal, psychological and sexual intimidation". Unfortunately the allegations could not be tested in court as Mr MacDonald was not around to refute or challenge them. The MacDonald case is just one of a number of recent cases where a wife has got away with murdering her husband on the grounds of being a battered wife. Why bother having women's refuges and a myriad of taxpayer funded support agencies? Why not just issue high-powered rifles to all women who claim to be battered?